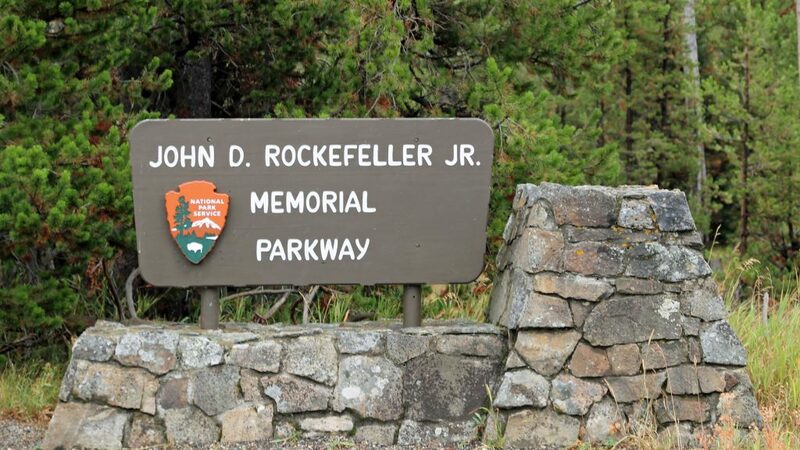 The John D Rockefeller Jr. Parkway is small in comparison to its neighbors Yellowstone and the Grand Tetons and is a park that I had driven through several times before taking the time to stop and get familiar with it. I was curious why it was just not part of one of the other two parks and to see what made this place special. The Flagg Ranch is located just South of the South Entrance to Yellowstone National Park. It originally started as a United States Calvary outpost in 1872. The U.S. Army was the first people assigned to protect the resources of Yellowstone, America’s first National Park which was created on March 1, 1872. This would have made the Calvary part of the original thought of today’s Park Ranger identity as they were assigned to protect the valuable herds and the valuable resources. The Army continued to use this outpost until 1906 until the land was turned over to the U.S. Forest Service. 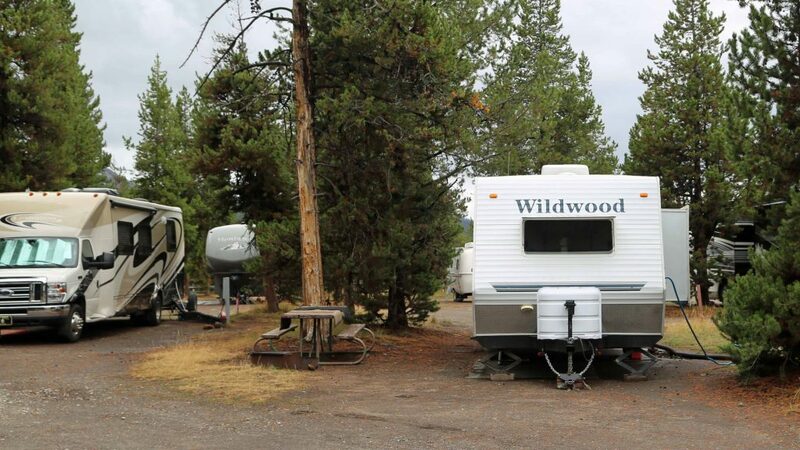 The Outpost was easily identifiable by the flags outside from the days of the Calvary and soon became a stopover for people traveling between Jackson Wyoming and Yellowstone. Edward Sheffield established the Flagg Ranch in 1910 and named it after the Army Posts flags. 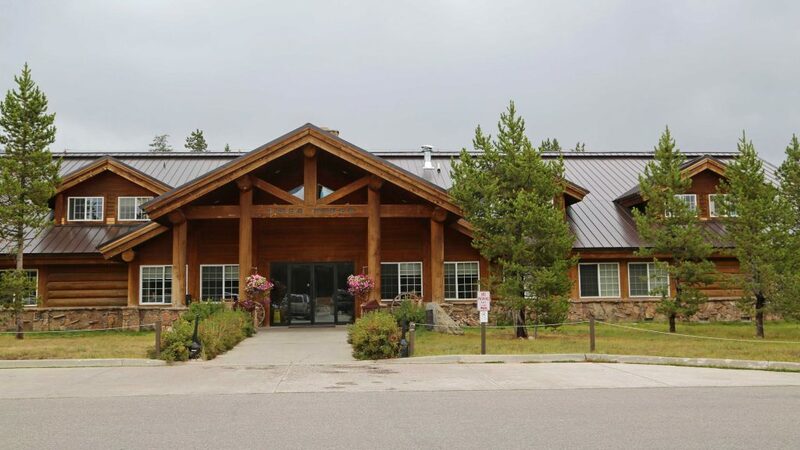 The Original Log Ranch was destroyed by the 1981 fire but then rebuilt in 1995 and is the beautiful building that you see today. How did it become a National Park Site? John D. Rockefeller Jr. took after his incredible father and dedicated himself to a life of philanthropy. He was also a great conservationist. He purchased thousands of acres of land then donated them to the National Parks! Land that he purchased went to Acadia, Shenandoah, and Grand Teton National Parks. He donated 5 million dollars alone to buy lands in the Great Smoky Mountains “in the beautiful spirit of my mother”. His drive continued on to help with Yosemite, Mesa Verde, Grand Canyon and Yellowstone National Parks leaving a tremendous legacy for the National Parks System. 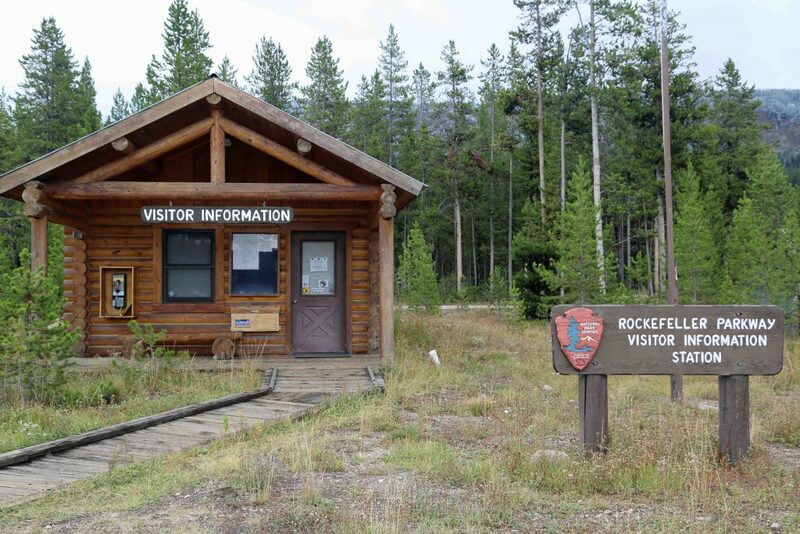 For these reasons, Congress decided to dedicate 24,000 acres of land between Yellowstone and Grand Teton National Parks as the John D Rockefeller Jr. Memorial Parkway. The road from the South Boundary of Grand Teton to the West Thumb of Yellowstone was also in honor of this great man. Visit the Headwaters Lodge at Flagg Ranch! I had a fantastic lunch at Sheffield’s. The restaurant looks like an old game lodge with animal mounts and an inviting fireplace to keep you warm. There is nothing like a cup of coffee and a bowl of Teddy Roosevelt’s Western Chili made with braized Elk & Bison to warm you up on a cool day. The Brinner Burger is one that I will not soon forget with its signature Huckleberry Jam. 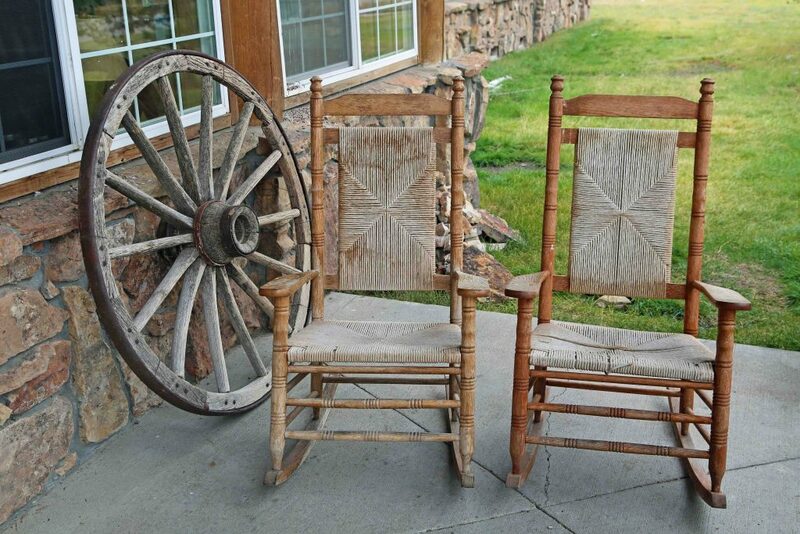 After a great meal, you can tour the gift shop, small grocery or perhaps sit outside on a rocking chair. There is also a trail near Flagg Ranch that is perfect for getting out and working off the Brinner Burger you just enjoyed. 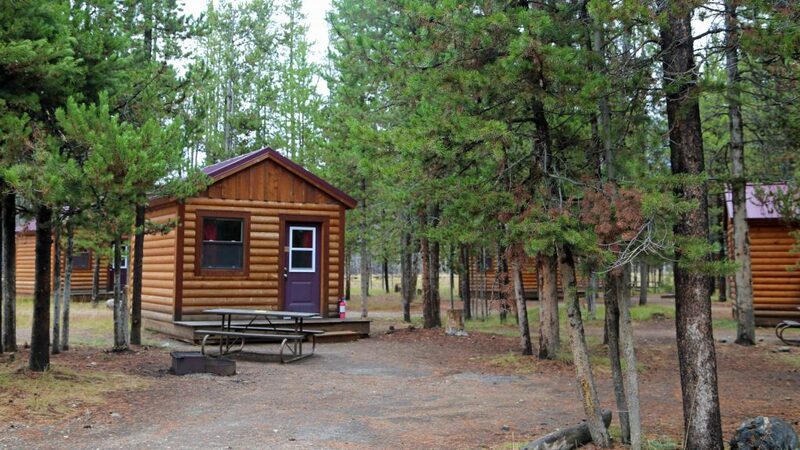 There is a campground, cabins and larger lodge rooms available between June to late September and make for a great location for those wanting to explore both parks and have a little quiet time too. Reservations can be made online or by calling (307)543-2861. You can still drive the old stagecoach road between Flagg Ranch and Ashton Idaho. Ashton was the nearest Union Pacific Railroad stop and the road is basically a 50-mile dirt road also referred to as Grassy Lake Road. The road can be treacherous and heavily rutted but then again you may not see many people all day which is refreshing after fighting the crowds at the neighboring parks. You will also find the Glade Creek Trailhead along this road and makes for a good stop along the way to get out and stretch your legs. 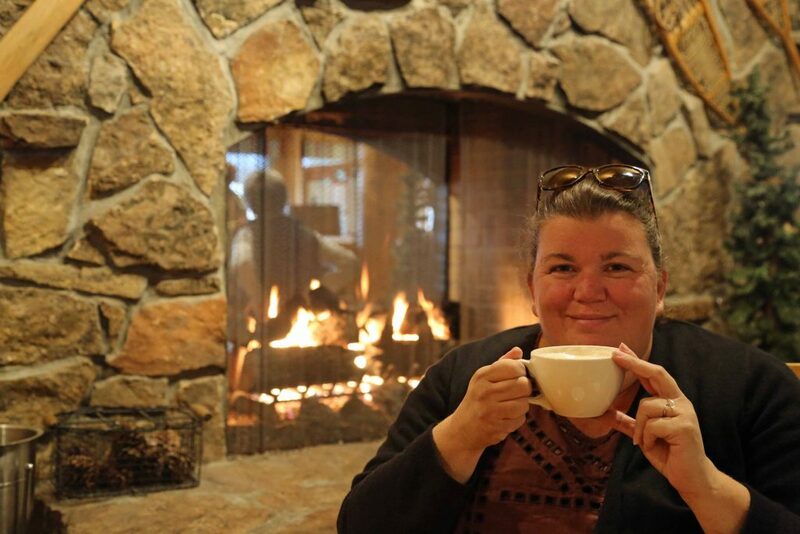 Enjoying a warm fire and a hot beverage after being out in the cool weather! Remember me saying that I finally took the time to stop and to see what made this place so special? Well, I am sure that I got a lot more than I had bargained for! I personally got caught up in the whole Rockefeller story of both John Rockefeller and his Son and their giving spirits. They have left a tremendous legacy for everyone including future generations. I will think twice before passing another National Park site without stopping in first!